Yes, I’ve actually written about kunafa before — they have it on their dessert menu at Tabule (which is hit-and-miss). But hey, if I can write about multiple versions of doner or noodles, why not multiple versions of kunafa? Kunafa is great. It’s a Middle Eastern dessert that consists of a layer of gooey white cheese topped with syrup-infused pastry. I know that cheese in a dessert sounds odd, but the particular cheese they use — called nabulsi — has a neutral flavour and a pleasant gooeyness that makes it ideal for desserts. Plus: everyone loves tiramisu and cannoli. A cheese-based dessert really isn’t as strange as you might initially think. 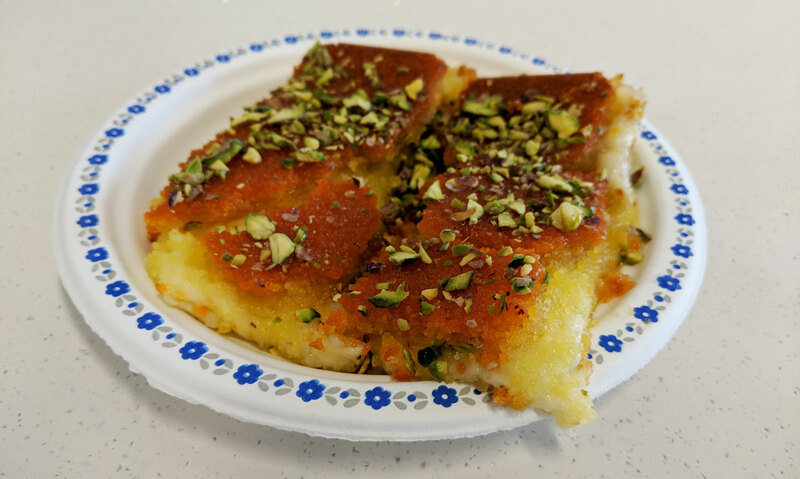 The problem with kunafa is the same problem with pizza; because of the melty cheese, it really has to be eaten when it’s relatively fresh out of the oven. As it sits out, the cheese starts to congeal and the pastry loses its moisture. You can reheat it (or leave it on a hot plate as they do here), but it really isn’t the same. The version they’re serving at Kunafa’s was quite tasty, but this was clearly an issue. As you can see, the cheese was still very stretchy, but it was also a bit too tough. 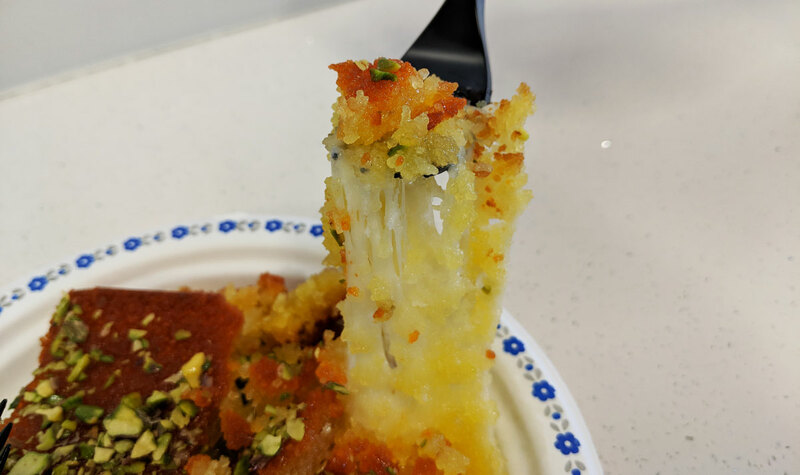 If using a fork to cut through the cheese completely mangles the dessert, then your kunafa has probably been sitting out too long. The pastry, too, was more dry and crumbly than it should have been. But don’t get me wrong — I still really enjoyed this. 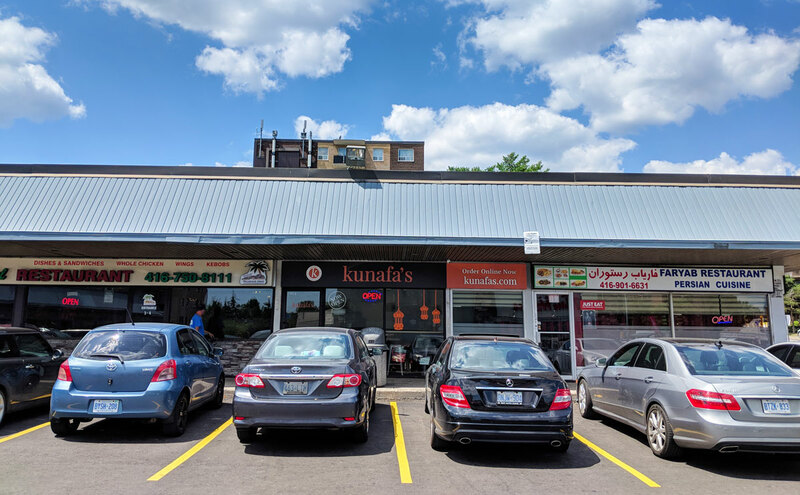 I’m not sure that there’s anywhere in the GTA that serves a really great kunafa, so this is about as good as it gets. Nitpicks aside, it’s still delicious. I think I’ve mentioned before that I love lamb. Beef is great, obviously, but there’s something about the intense flavour of a good piece of lamb that I find irresistible. 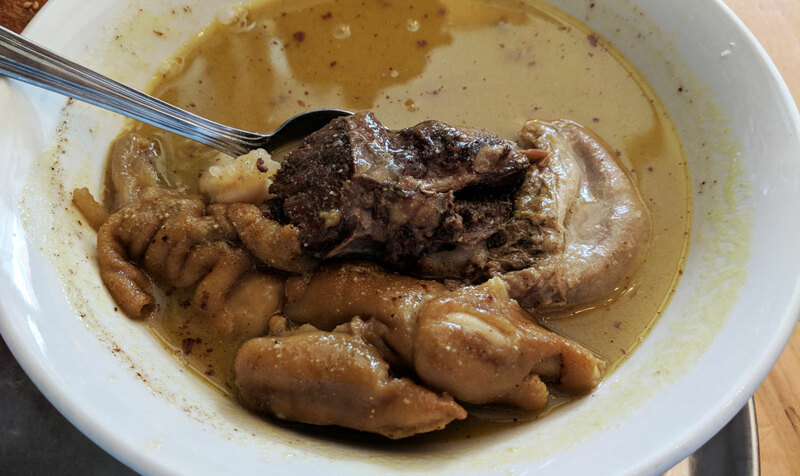 Takht-e Tavoos’s version of kalleh pacheh — an Iranian soup made with chunks of lamb hoof, tongue, and cheek — is almost certainly the lambiest dish that I’ve ever had. The flavour was intense. I loved it. The broth is thick and rich, with a really pronounced meaty flavour. There’s a Middle Eastern dish that consists of rice and lamb (I had a version of this at Reyan in Mississauga), and this was almost like a soup version of that; there’s no rice here, but the spices are very similar. It’s almost too rich, but a spritz of lime adds some brightness and helps to round things out. And the chunks of lamb (which were generous) were so good. Certainly, with its hodge-podge of face and feet, it might be a bit of a tough sell. But, for the most part, the meat here was amazingly well prepared. The cheek, which was unctuous and luxurious, was the best of the bunch. It was melt-in-your-mouth tender, with a face-punch of amazingly lamby flavour. The tongue was almost as good. It certainly looks a bit off-putting (it’s a full tongue, so there’s no mistaking what it is), but the meat was amazing. It doesn’t have the intense fattiness of the cheek, so if you’re fat-averse, this might be more your speed. The hoof was easily my least favourite of the three. This is a harder cut of meat to get right — it’s mostly just a lot of really thick skin and collagen, without a whole lot of actual meat. The skin here was a bit too rubbery, and the meat almost non-existent. Still, given how good the other two cuts of meat were, it’s hard to complain too much. Plus, the dish comes with some fresh, tasty flatbread on the side. It tastes just as good on its own as it does dipped into the soup. Honestly, my biggest complaint about this dish? It’s an absurd amount of food. 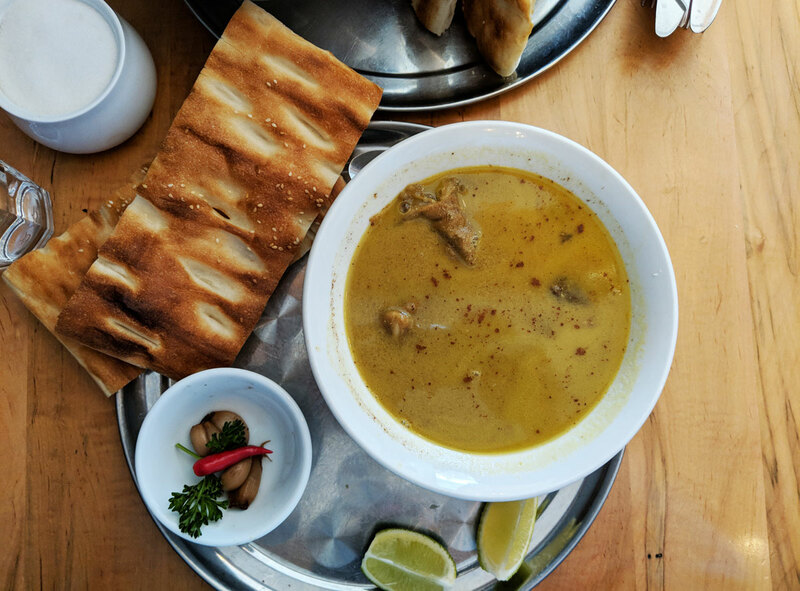 Between the heaping bowl of rich soup, the substantial pile of meat, and the two sizable slices of flatbread, it feels more like something that The Rock should be eating during a training regimen than a meal for a normal person. I (mostly) finished it, and I felt obscenely full for the rest of the day. I wasn’t sure which country this would fall under. 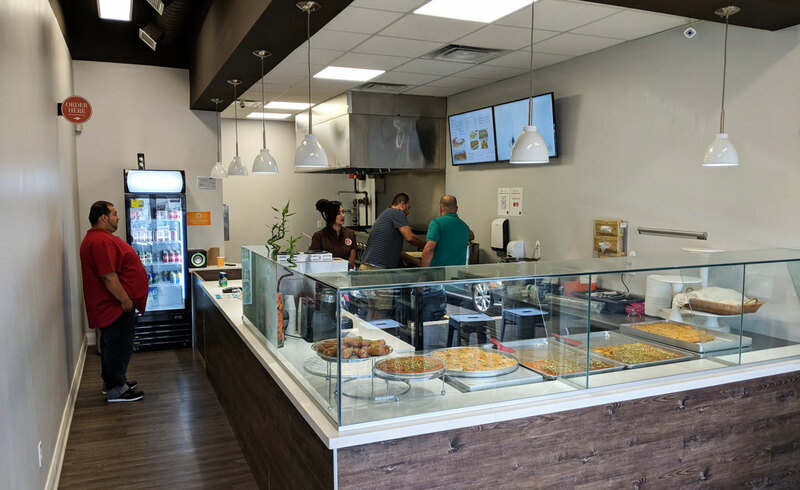 Parallel’s website describes itself as “Middle-Eastern and Mediterranean,” which doesn’t exactly narrow things down. I ordered shakshuka, and Wikipedia lists Libya first in the list of countries where this dish is served. So sure, Libya it is. 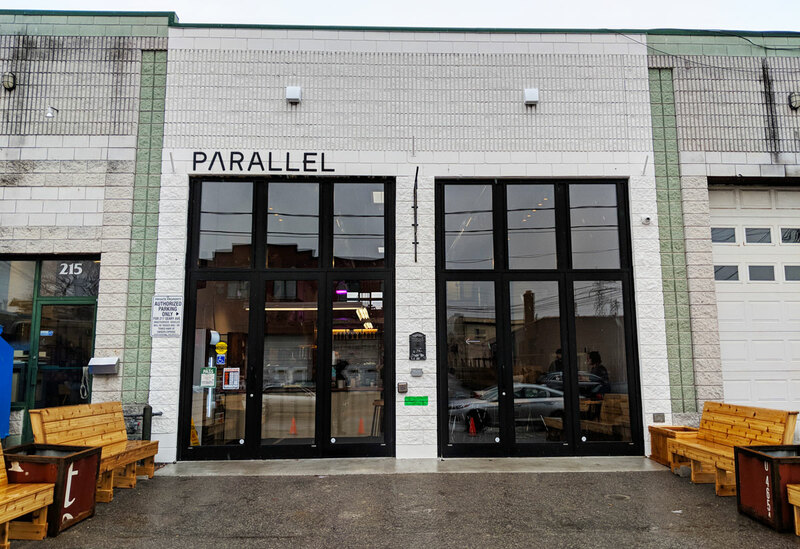 Parallel is a new restaurant from the people behind Ozery Bakery (which sells some good stuff, FYI). They also make and sell their own tahini, which features heavily in most of the dishes on their menu. 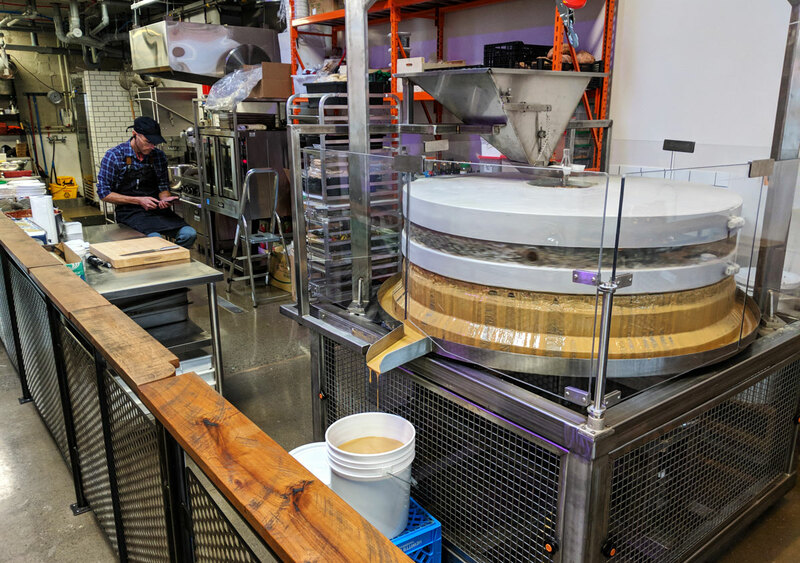 You can see the very impressive looking machine they use to crush the sesame seeds at the back of the restaurant. 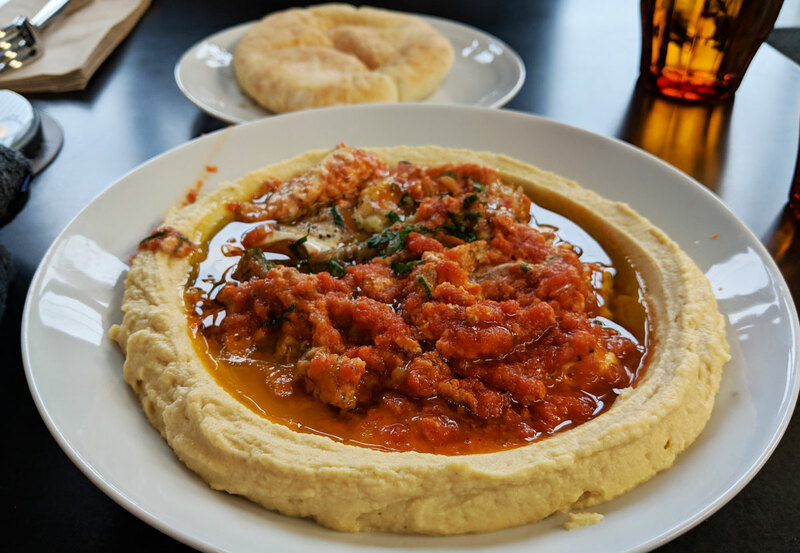 I ordered the hammshuka, which is shakshuka that’s served on a bed of freshly-made hummus. It was very, very good. The hummus was odd; not surprisingly, the tahini flavour was front-and-centre. The lemon was almost imperceptible, and if there was any garlic at all, I couldn’t taste it. It was subtle and unlike any hummus I’ve ever had, but it grew on me. Better was the shakshuka (which, for the initiated, is a dish in which eggs are baked in a thick tomato sauce). It had a rich, garlicky flavour, and the eggs were cooked perfectly. It was topped with a very liberal amount of good-quality extra virgin olive oil — enough to give the dish EVOO’s distinctive nutty flavour. I ordered it with roasted eggplant (other add-ons include goat cheese and roasted peppers), which turned out to be a wise choice. The eggplant was smoky and amazing, and complimented the shakshuka perfectly. 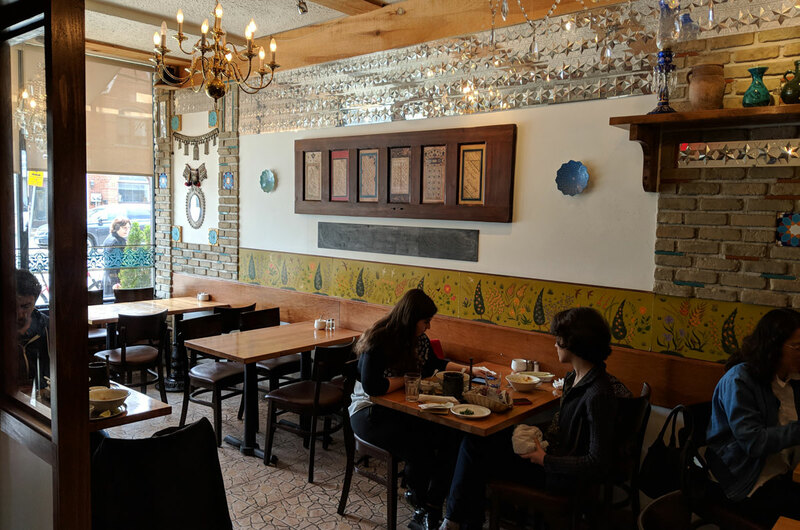 I’ve been on quite a roll with Middle Eastern restaurants — so far I’ve checked out Syria, Turkey, and Lebanon, and they’ve all been seriously tasty. And now here’s Yemen to continue that streak. Alonasabah’s menu is laser-focused — they have a handful of appetizers and desserts, but for the most part there’s only one dish on the menu. If you want something other than mandi? Go somewhere else, that’s all they’ve got here. Mandi is a deceptively simple dish: it’s just rice and meat (with the choice between chicken and lamb). It’s topped with almonds, raisins, and fried onions. The rice is fragrant, richly spiced and deeply flavourful; it’s delicious enough that I’d happily eat a big bowl of it just on its own. I tried both the chicken and lamb, and both types of meat were super tender and packed with flavour. They’ve obviously been cooked for a very long time at a very low temperature; the chicken was so incredibly tender that the cartilage had completely broken down, essentially turning into cartilage butter. The rice and the meat are both super tasty, but it’s the toppings that help put this dish over the top. The almonds add some nuttiness and crunch, and even the raisins work surprisingly well. I’m generally not a fan of raisins in any context, so I was shocked by how much I enjoyed them here. Unlike qabuli palau, the somewhat similar dish I tried from Afghanistan, the raisins go really well with everything else. They add subtle pops of sweetness that compliment the dish perfectly and never overwhelm. As for the onions, they were dark and intense, with a flavour somewhere between caramelized and fried. They were sweet, but with an edge — almost bordering on burnt but never crossing that line. It seems kind of odd at first that this place only really serves the one dish, but if you do something this well? Why the hell should you waste your time doing anything else? 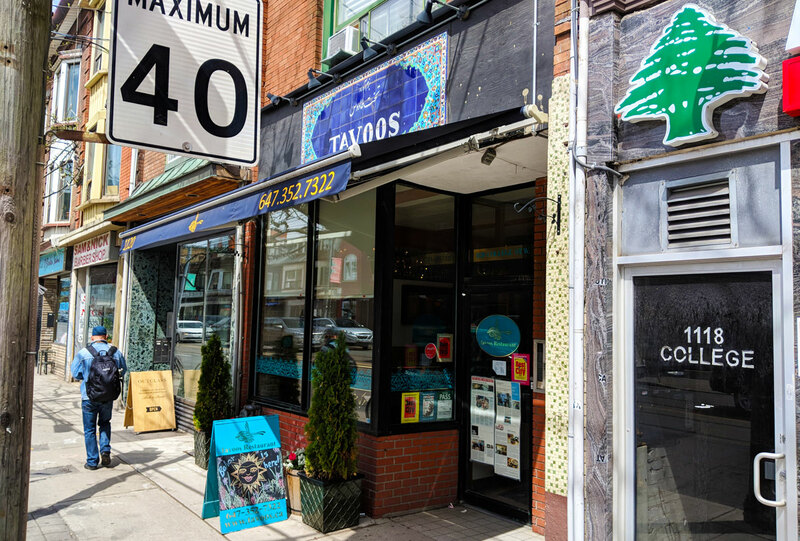 Thanks, Twitter — or more specifically, thanks, Suresh Doss (for the unaware, Doss has become the GTA’s go-to guy for recommendations on ethnic joints like this one). I visited this place entirely thanks to this tweet, and I’m really glad that I did. It’s a big place, and was almost completely empty when I showed up at around 12:30 on a Sunday (which, as will soon become clear, I think is a travesty). I ordered the arayess, which I had never even heard of before, let alone tried. It was amazing. It’s ridiculously simple — it’s essentially just a fairly thin layer of spiced ground beef sandwiched inside a piece of pita bread. It’s grilled over charcoal, which gives it a nice exterior char without making the bread overly crispy or crackly. Whatever they’ve spiced the beef with tastes so good, and the juices soak into the bread so that the whole thing becomes an irresistible medley of beefy, perfectly spiced flavour. It comes with two sauces for dipping — tahini and garlic — and while they’re both quite tasty, it was the garlic sauce that really got me all hot and bothered. It was pretty much the standard thick white sauce that you get at most shawarma joints, but something about it made me want to grab a spoon and eat it straight-up from the container like pudding. They gave us a couple of pieces of puffy, fresh-from-the-oven pita bread, and by the end of the meal I was tearing pieces off and dipping them straight into that amazing garlic sauce. You can choose between fries, rice, or salad — since the tweet that brought me here specifically mentioned the rice, that’s what I got. The rice, like everything else, was not kidding around. Great flavour, and it complimented everything else perfectly. I should also mention that my dining companion got the chicken and beef shawarma plate, and based only on the couple of mouthfuls I had, it seemed like some seriously top-shelf shawarma (I actually enjoyed it so much that I returned a few days later to try a chicken shawarma sandwich — it was quite good, though it was missing the crispy bits that made the shawarma on the first day so amazing). 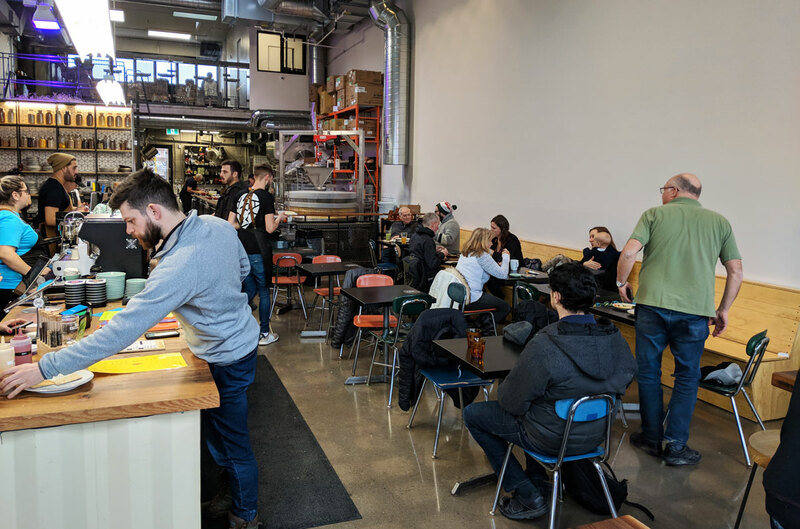 I’m really not sure why the place was so empty — I’ve been doing this blog for almost a couple of years now, and this was easily one of the best meals I’ve had so far. It was so good. So, here’s a fun fact (an actual fun fact, not E!’s version of a fun fact): Turkish doner was actually the first version of that particular type of vertically-rotisseried meat, preceding the similar shawarma and gyro by at least a few decades. I always assumed that shawarma was the O.G. vertical rotating meat-stack, but nope, apparently it’s doner. And the version they serve at Kabab 49? It’s superb. I ordered the mixed doner plate, which comes with a salad, a big pile of sliced onions, a generous portion of delightfully greasy rice, a few slices of freshly-baked bread, and of course, enough shaved meat to feed a small family. Everything on the plate is quite good (well, except for the onions — raw onions are the worst thing in the world, and no one is ever going to convince me otherwise), but the highlight is that amazing doner. The mixed plate features chicken and a mix of veal and lamb, and both were fantastic. The veal and lamb was a bit better than the chicken, but both were moist, had plenty of the crispy bits you’re looking for in this type of thing, and were really well seasoned. The meat works just as well with the rice as with the fluffy, fresh bread. Eventually, you eat enough of the doner and discover a couple of bonus slices of bread at the bottom of the plate, suffused with tasty meat grease. And then you walk out of the restaurant clutching your stomach and wondering how and why you finished the whole thing, because seriously: that plate is enormous. But you kept eating it well past the point that common sense would dictate that you stop. That’s how you know it’s something special. I think I could make the argument that lamb is the most underrated food out there. Yes, not just most underrated meat, but most underrated food (here in North America at least. Many other countries quite sensibly eat a lot of lamb, because it’s delicious). Prepared well, it’s super tender, and jam-packed with enough flavour to put even a really good-quality piece of beef to shame. What’s not to love? I guess Syria is one of those sensible, lamb-loving countries, and if this dish is anything to go by, they’re eating pretty well. They’re also going through some not-so-great times right now, but that falls way outside of the purview of this blog, so… lamb. It’s really good. The article nails it; it’s perfectly spiced, but the star of the show is clearly that tender, immensely flavourful lamb. A knife is provided, but the meat is so perfectly tender that it’s barely even necessary. The rice is cooked with the lamb stock, which infuses it with so much great flavour. The slivered almonds on top add crunch, and the small plate of very rich plain yogurt helps to cut through the richness. It’s a fairly no-frills dish, but man, it’s so good. In the case that the simplest dishes are often the best, this would be exhibit A.